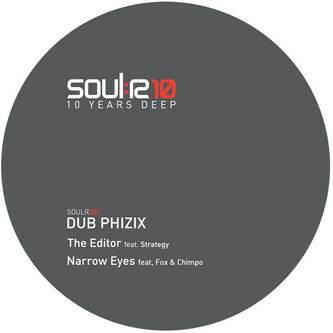 It's a Manchester thing: producer, Dub Phizix lays the rhythm for MCs Strategy and Chimpo, and sweet vocals from Fox. On 'Narrow Eyes' Strategy comes straight outta Salford with a menacing delivery over sleek and lean drums pushed by murky bass. Flipside, 'The Editor' is more on a techy rollidge vibe with vocals alternating between Chimpo's gruff raps and Fox's soulful counterbalance.